The Texas Legislature has come to and end and the Special Session has closed. Prior to the Legislature convening, there were some serious concerns about breed specific legislation raising its ugly head due to the fallout from the Clinton case (boy killed by loose dogs) in Henderson County. There was a lot of media attention and two proposed bills being floated by Cynthia Kent, one of the attorneys on the Clinton case. Kent stirred a media frenzy to ban American Pit Bull Terriers but there were a couple of problems with that. The two dogs involved in this awful fatality were not American Pit Bull Terriers, but that didn’t seem to matter. The media said they were and Kent was stirring that as well, but such was not the case as acknowledged by Kent in her closing argument in the civil case. Sometimes the truth is a minor detail when people are all whipped up and this was the making of a mob like mentality. That is why it was imperative to get ahead of this freight train. Breed specific legislation is a unifying issue. Dog lovers do not like the thought of the government curtailing rights to own the breed of their choice. Dog owners unite on this issue whether they own a rescue pup or a purebred show dog, a Yorkie or a Mastiff. In fact, even the cat folks get involved. By contrast, some animal issues can be very polarizing setting dog owners at odds. That is why the Texas Dog Commission focused on breed specific legislation and any bills that were either breed specific or enforced with a bias against certain breeds during the 2011 Legislative Session. The Texas Dog Commission was formed in 2006, but for the first time we hired our own lobbyists to deal solely with breed specific legislation or any bills that were breed specific as enforced. Our lobbyists did a great job on the ground in Austin and were aided by legal briefs and analysis that explained our position, dispelled the myths, and provided logic instead of polarizing rhetoric to educate our legislators. Our goal was to educate, not alienate. I am pleased to report that it worked. The two proposed Kent bills never got a sponsor so they were dealt a death blow and never even got in the chute much less out of it. One proposed bill made it a felony to own American Pit Bull Terriers and other related breeds. The other proposal imposed insurance on owners of the breeds for $250,000.00 and had other severe restrictions, and made it a felony if owners failed to adhere to these harsh restrictions. Through the concerted efforts of the Texas Dog Commission, our lobbyists and the tremendous support from Texans all over the state, we can proudly say that these breed specific bills were not passed and our great state still enjoys a prohibition against local governments enacting breed specific laws. 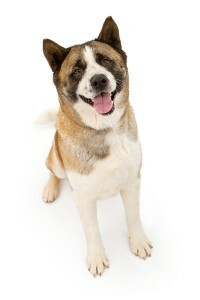 House Bill 998 was the bill that proposed doggy insurance of $100,000.00 on all intact male dogs twenty pounds and over in addition to other very onerous restrictions. The bill was sponsored by Representative McClendon (San Antonio) and was breed specific in that it targeted all breeds of this weight without naming them. The Texas Dog Commission provided legal briefs and analysis, and our lobbyists were on the ground fighting against this bill in Austin. Importantly, Texas Dog Commission secured the permission of the Texas Veterinary Medical Association (TVMA) to include that organization in our brief to the legislators in opposition to HB 998. Further, Texas Dog Commission obtained permission from over 100 dog organizations and clubs to be included in our brief in opposition to HB 998. All of these efforts combined with the barks and howls of Texans who expressed their opposition to this bill, prevented HB 998 getting out of committee and in fact, the bill was not even given a hearing. HB 998 garnered a lot of media attention since the notion of $100,000.00 in doggy insurance seemed so crazy to a lot of people particularly since that is over three times the amount for auto insurance and car accidents take lives everyday. Regardless, the unified effort described above dealt the death knell to HB 998. HB 963 dealt with appeals in cruelty cases. While this bill was not breed specific as written, it is breed specific as enforced. Owners of certain breeds find themselves to be the target of cruelty seizures more than other breeds. Sometimes cruelty laws are used as a means to dispossess certain owners of their dogs despite there are no legitimate cruelty claims. I have dealt with numerous cases unfairly targeting owners of American Pit Bull Terriers and other similar breeds. That is why the Texas Dog Commission got involved in this bill. The Texas Dog Commission provided legislators legal briefs, analysis and testimony in the House and Senate committee hearings and was aided by our lobbyists in Austin. Some helpful changes in the law were made possible by these combined efforts and the voices of animal owners who supported the changes. Importantly, now all animal owners will be treated similarly and will have the opportunity for an appeal. Owners will get a trial by jury on appeal which is new and many times their first time for justice since many judges summarily rule against owners in cruelty cases. Nobody in their right mind supports cruelty, but sometimes animals are taken from their owners unfairly and without legal justification. The right to a trial by jury helps to ensure fairness in the process. 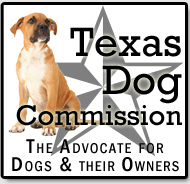 The Texas Dog Commission limited its focus and channeled its limited funds to ensure that breed specific legislation in any form was prevented. Preventing the Kent proposed bills from getting a sponsor, killing HB 998 and securing important changes to HB 963 are successes from the 2011 Legislative session. This is exactly what Texas Dog Commission set out to do and the results are proof that having a cohesive, logical voice devoid of incendiary attacks is a successful formula. Thank you to everyone who helped in this endeavor because there is no way any of this would have been possible without grassroots support and the voices of Texas dog owners. I am very proud of you and our combined efforts in making sure that all dogs and their owners are treated equally in Texas under the law. The legislature does not meet again until 2013, but we must remain vigilant so that no local laws are adverse to our ownership rights. Forever on alert for our dogs and our rights.